JBOYSOFT Apps don't collect your personal information. JBOYSOFT website don't collect your Cookies. Because, I like you, I like people more than money. Also I don't sell my words. With honesty, until passing away. 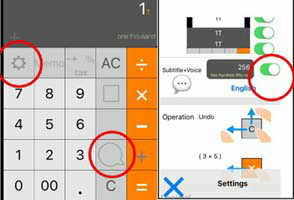 App [ Calculator Junji ] How to SPEAK ? You can read your memos-text-save-data anytime. [Notepad Junji] can load old data automaticaly. Your iOS 11 has [Files App]. Please use it. In [Browse] - [Locations] - [On My iPhone or iPad] - [Notepad Junji]. [notepad] file is old-data of [Notepad Jobs]. [notepadjunji] file is new-data of [Notepad Junji]. Always [ Notepad Junji ] [ Notepad Jobs ] save the data to in each device (iPhone, iPad), Not cloud-server-storage. The each device has each save-data. There is no relation between data. I'm really thankful for your feedback message. I read all the comments in 155 countries App Store.